Fear the snowplow! 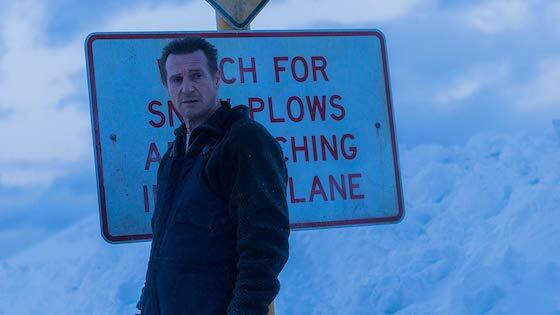 Though that's not the central message in Hans Petter Moland’s Cold Pursuit, it is certainly a bit of good advice that goes unheeded by a number of hapless victims in this quirky noir thriller that turns the genre on its head with a barrage of wry humor and enough dead bodies to fill a graveyard two deep. The film is an English-language remake of the Norwegian Drama In Order of Disappearance – also directed by Moland, and the snowplow is driven by Liam Neeson’s character. And we all know Neeson’s propensity for revenge in these types of films – especially when his Nels Coxman character discovers that his son, Kyle (Micheál Richardson) was killed by some really bad guys who thought – incorrectly – the kid was involved in the disappearance of large batch of smuggled cocaine. So, yes. Fear the snowplow! 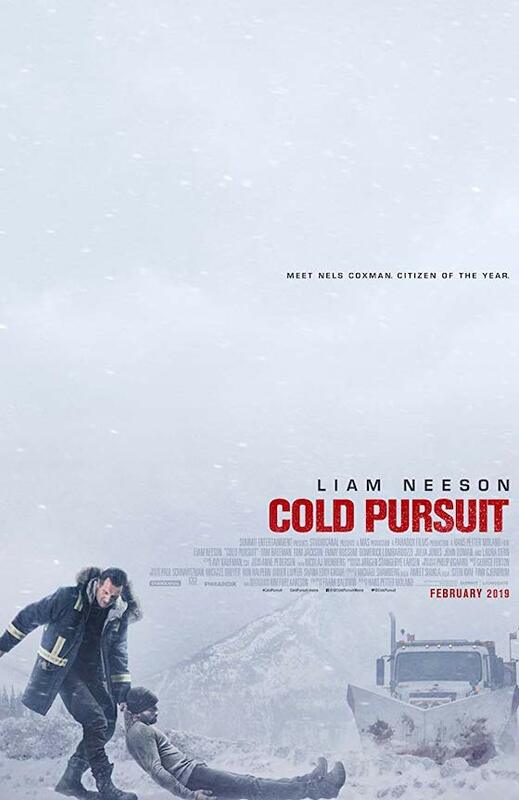 "Cold Pursuit is bloody, it is violent, it is funny, it is stylish, and it is unabashedly irreverent. Even brilliant at times." But wait, this isn’t the typical Liam Neeson revenge thriller, despite what the trailers are trying to tell you. Yes, there is a dominant theme of revenge, and yes, Neeson’s character exacts it in any number of creatively horrific ways. But there are also plenty of wink, wink moments of self-awareness throughout, as well as a wonderfully unexpected sense of dark humor that threads its way through the proceedings. We quickly realize that Moland is on the joke and it isn’t long before we are too. The result is a delicious medley of noir tropes and action sequences that get tossed and turned in so many enjoyable ways. There’s an ongoing side-plot involving the local Kehoe police department as the bumbling keystone cops who are always a day late and a dollar short reaching the crime scenes.But one officer, played by Emmy Rossum, is getting closer and closer to cracking the case. But don’t think Cold Pursuit is all fun and games. 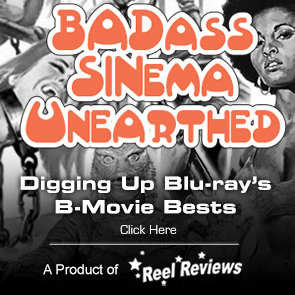 It is, after all, a Liam Neeson revenge flick and all that that entails… plus some. Though the violence approaches exposition levels at times, Moland deploys the uniquely stylish trick of suddenly cutting away from the film’s most brutal moments to shots of crimson-stained snow, or the crunching thud of hammer to celery. 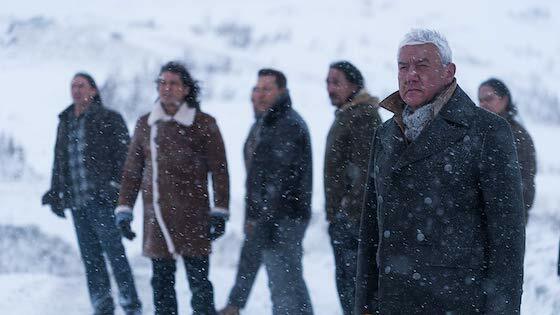 Cold Pursuit is bloody, it is violent, it is funny, it is stylish, and it is unabashedly irreverent. Even brilliant at times. But most of all, it is just plain fun as all get-out to watch. In the meantime, just please, do yourself a favor and stay away from snowplows. MPAA Rating: R for strong violence, drug material, and some language including sexual references..
Tagline: Everything you need to know is in Lord of the Flies. Memorable Movie Quote: "When you drive the same road day after day, it's easy to think about the road not taken."